Nicole Lee Handbag Thanksgiving Sale and Giveaway! *Disclaimer: Reviews by Savvy K received a product below from the company in exchange for an honest review which you can read below. Regardless all opinions are 100% her own and may differ from yours. 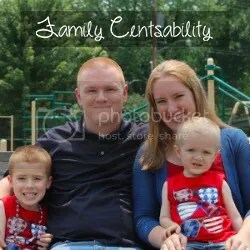 Family Centsability is sharing this review and giveaway to give our readers the option of entering to win! Nicole Lee has to be one of my all time favorite handbag companies! If you are a reader here on my blog, you know that I had the amazing chance to review 2 different handbags from Nicole Lee this summer and I immediately fell in love. Now with the holidays coming up, I can’t imagine another perfect gift for the fashionista in your life! Check out our review of one of the newest Nicole Lee additions and then enter to win one for yourself! Oh – and don’t forget to check out the Thanksgiving and Black Friday Sale going on tomorrow! Cinda B is giving me the opportunity to host a giveaway of a Flat Iron/Curling Iron Cover and Uptown Wristlet. You can read my review of these Cinda B products here. Enter via the Rafflecopter widget below. Please allow a moment for it to load. The mandatory entry will be to let me know of another Cinda B product that you like from their website! Additional entries on the Rafflecopter entry form are optional but if completed, will give you more chances of winning. The winner will be drawn through the Rafflecopter widget then contacted via email. They will have 48 hours to reply with their mailing address and choice of animal. This information will be sent directly to the sponsor, Cinda B. If a winner does not reply within the designated period of time, a new winner will be drawn. The prize will then be sent from Cinda B to the address that the winner specifies. Looking for a stylish new handbag, id holder, flat iron case or even a laptop sleeve? I absolutely love Cinda B’s designs! I was given the opportunity to try the Flat Iron/Curling Iron cover and Uptown Wristlet. With all of the choices of patterns available, I had such a hard time narrowing down to just one! I chose the cute Bella Fiore Cocoa pattern for both products. The Uptown Wristlet is absolutely perfect size for me! It is 8″ W x 5-1/2″ H X 1-1/4 D and can fit a camera, a cell phone or other accessories. In mine, I can fit my cell phone, some cash and cards and a few other small items to take with me on the go. The wristlet is perfect for high school or college students as well as moms who are always on the go with a diaper bag and do not want to carry a full size purse around. For those of you who use a flat iron or curling iron, the Cinda B cover fits most sizes. The case is 5″W x 13.5″H and heat resistant. I have a Sedu Revolution flat iron and was able to fit both the flat iron and the cord into the cover. I also separately was able to fit a 1″ curling iron with no problem. The flat iron/curling iron cover is also great for a teen, college student or mom who travels and wants to protect her hair tools. On the Cinda B website, you can also find a wide variety of other products…there are over 50 styles and of course, remember there are plenty of patterns to choose from! If you, your daughter, mom or sister is always on the go, take a look around and you will surely find the perfect product to fit your needs! Purses…you can never have too many, am I right, ladies??? I have an assortment of purses that I like to cycle through but could not resist checking out the handbags available from Bag Blaze. On Bag Blaze, you can find a variety of handbags and clutches in all sizes. My favorites tend to be totes, hobos and satchels so I was excited to see that there was quite a large selection available through Bag Blaze. All bags are 70% below retail prices – they are priced at $39.95 or lower and include free shipping. When I was first given the opportunity to review a handbag from Bag Blaze, I chose the Holly Tote. Little did I know that this style was next in line as a daily “blazing deal” and flew off shelves in an instant. *Tip: If you find a bag you like from Bag Blaze, do not hesitate – it may sell out! * I browsed the bags some more and had no problem finding another that I really liked…I actually found several and had to narrow it down to one. I finally chose the Lottie Tote in black, which is no longer available. So, see, I told you, they can sell out of the popular styles! The Lottie Tote is made of quality faux leather and I have been very impressed with its durability. I have taken this thing everywhere and my toddler loves to try to drag it around the room (and he sure isn’t gentle with it!) The bag holds its shape just enough to sit upright on the floor but has enough give in its shape if you want to stuff it full. When choosing my handbag, I almost went with another style instead because I was unsure how I would like the silver accents. I honestly worried that they would end up tacky and junky looking. Instead, the silver accents are perfect – they add a little shine but don’t take away from the style of the bag. With a 17 month old, I have stopped carrying our huge diaper bag everywhere and started keeping a few small items in my purse instead. The size of the Lottie Tote is perfect – I have plenty of space to keep my personal items including my wallet, sunglasses, coupon clutch, lotion and keys as well as a couple diapers, a sippy cup and a small toy for my son. Inside are a few pockets as well as a zippered pocket in the center to divide the two sides of the purse. My only complaint is that the zippered area in the center does not have much stability and seems to slide down and get lost in with my purse contents. On the outside you can find a zippered pocket on the back as well as a pouch on the front that fastens with a flap and metal clasp. The front pouch is perfect for my iPhone and keeps it safely away from potential keys and sippy cup damage. Again, the material of the bag is durable and looks great. I have already received several compliments from friends and I feel proud carrying the bag while I am out shopping.